Warning! GuruFocus has detected 3 Warning Signs with NGG. Click here to check it out. Shares of National Grid PLC (NGG) are trading around $52.5 with a price-sales ratio of 1.80 and a price-earnings ratio of 8.22. The company, which distributes electricity and gas, has a market cap of $35.63 billion. The stock has risen at an annualized rate of 5.9% over the last 10 years. The discounted cash flow calculator gives the stock a fair value of $91.13, suggesting it is undervalued with a 42% margin of safety. 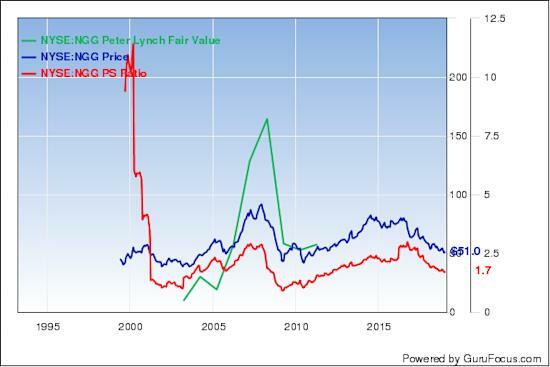 The Peter Lynch earnings line gives the stock a fair value of $107.4. Jim Simons (Trades, Portfolio)' Renaissance Technologies is the company's largest guru shareholder with 0.57% of outstanding shares. Shares of International Game Technology PLC (IGT) are trading around $16 with a price-sales ratio of 0.67. The gaming company has a market cap of $3.27 billion. The stock has climbed at an annualized rate of 5.9% over the past decade. The company's largest guru shareholder is Steven Cohen (Trades, Portfolio) with 3.77% of outstanding shares, followed by the Simon's firm with 1.11% and Mario Gabelli (Trades, Portfolio) with 0.01%. CenterState Bank Corp. (CSFL) is trading around $24.60 with a price-sales ratio of 4.40 and a forward price-earnings ratio of 11.06. The bank holding company has a market cap of $2.35 billion. The stock has risen at an annualized rate of 5.9% over the last 10 years. The DCF calculator gives the company a fair value of $18.73, suggesting it is overpriced by 31%. 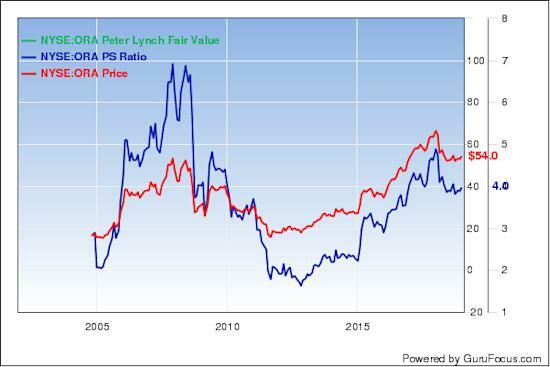 The Peter Lynch earnings line gives the stock a fair value of $18.60. With 1.52% of outstanding shares, Simons' firm is the company's largest guru shareholder, followed by Chuck Royce (Trades, Portfolio) with 0.61% and Ken Fisher (Trades, Portfolio) with 0.06%. Shares of Qualcomm Inc. (QCOM) are trading around $50 with a price-sales ratio of 3.27 and a forward price-earnings ratio of 12.92. The company, which develops and licenses wireless technology, has a market cap of $61 billion. The stock has risen at an annualized rate of 5.9% over the past decade. The company's largest guru shareholder is PRIMECAP Management (Trades, Portfolio) with 1.79% of outstanding shares, followed by Barrow, Hanley, Mewhinney & Strauss with 1.65%, Coatue Management LLC with 0.66% and the T Rowe Price Equity Income Fund (Trades, Portfolio) with 0.52%. Ormat Technologies Inc. (ORA) is trading around $55.44 with a price-sales ratio of 4.06 and price-earnings ratio of 19.60. The company, which operates in the geothermal and recovered energy power business, has a market cap of $2.81 billion. The stock has risen at an annualized rate of 6% over the last 10 years. The DCF calculator gives the company a fair value of $30.29, suggesting it is overpriced by 83%. 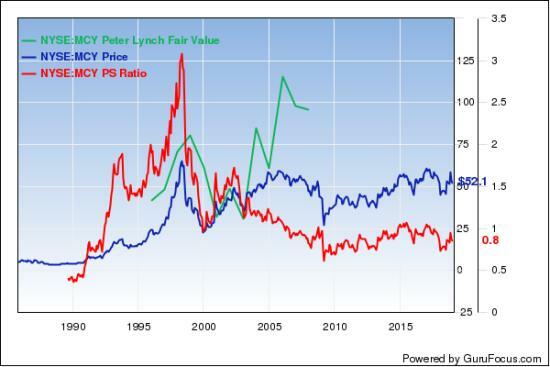 The Peter Lynch earnings line gives the stock a fair value of $46.35. Another notable guru shareholder is Gabelli with 0.16% of outstanding shares, followed by Pioneer Investments (Trades, Portfolio) with 0.05%. Mercury General Corp. (MCY) shares are trading around $51 with a price-sales ratio of 0.83 and price-earnings ratio of 29.80. The insurance company has a market cap of $2.87 billion. The stock has risen at an annualized rate of 6% over the past decade. 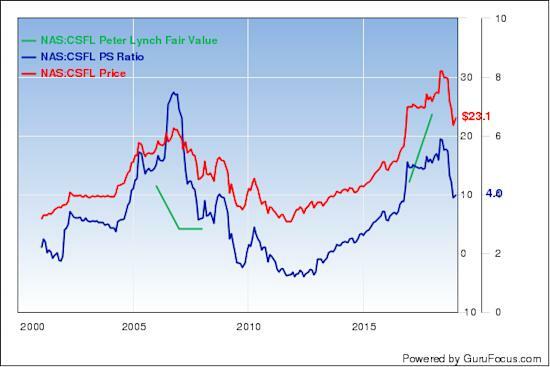 The discounted cash flow calculator gives the stock a fair value of $18.62, suggesting it is overpriced by 178%. 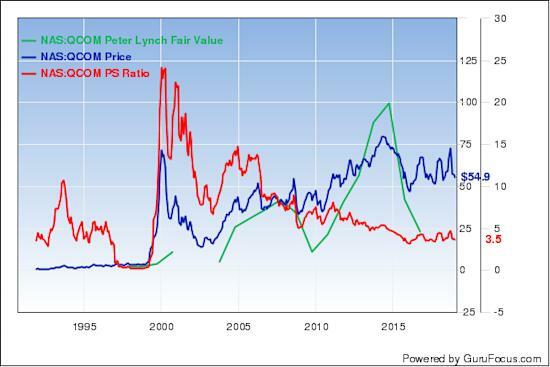 The Peter Lynch earnings line gives the stock a fair value of $22.80. 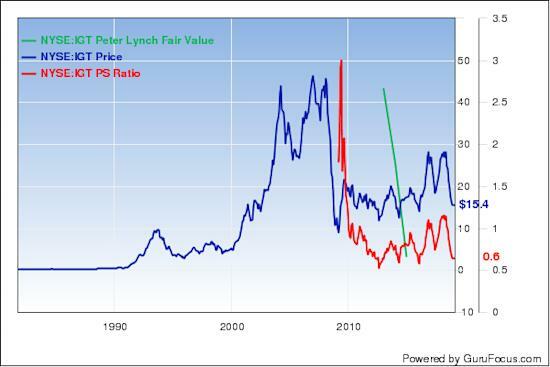 With 2.02% of outstanding shares, Simons' firm is the company's largest guru shareholder, followed by PRIMECAP Management with 0.51%, Royce with 0.19%, Pioneer Investments with 0.03%, Paul Tudor Jones (Trades, Portfolio) with 0.02% and Murray Stahl (Trades, Portfolio) with 0.01%.